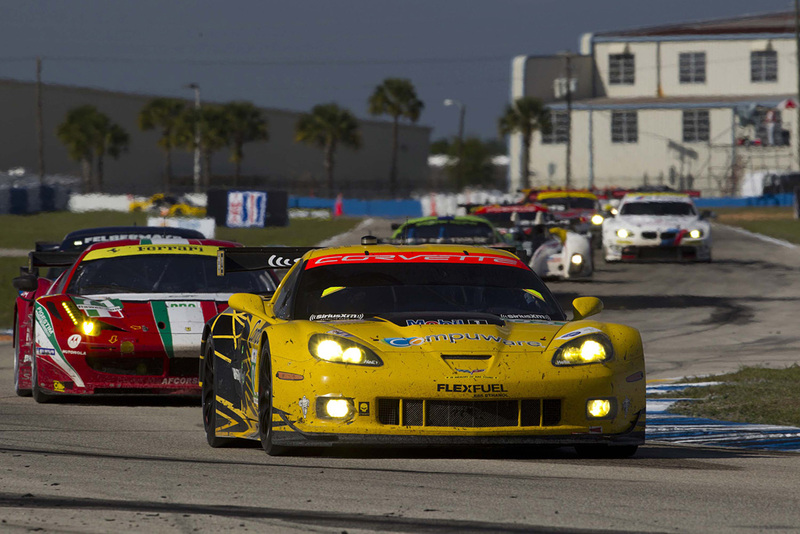 Corvette Racing, American Le Mans Series, Mobil 1 12 Hours of Sebring, Sebring, Florida, March 17, 2012. C6.R #3 was driven by Jan Magnussen, Antonio Garcia, and Jordan Taylor to second in GT. Compuware Corvette C6.R #4 was driven by Oliver Gavin, Tommy Milner, and Richard Westbrook to third in GT (Richard Prince/Corvette Racing Photo).